You are here: Percolated.co.uk » Guides » Instant v ground coffee – what’s the difference? Buying coffee can be overwhelming, there are simply too many choices, roast levels, sizes, and styles. If you don’t know what you’re doing, chances are you’re buying the wrong stuff. If you think coffee is just coffee, let me stop you right there. The coffee you buy changes everything, it’s the difference between making a good brew and a disappointing watery mess. Coffee basically comes in one of these forms: pods, for your reliable Keurig; whole beans, for the enthusiast; ground coffee for the unwary; and instant coffee for the apathetic. Instant coffee might look like ground coffee, we’ve all seen them, bags of different colour in the same supermarket aisle. They might look the same, but they’re as distant as apples and pears. Ground coffee is literally that, coffee beans that have been roasted and ground to a specific particle size. Ground coffee is ready to brew a perfectly good cup of coffee with your preferred technique. You get coffee out of it by leaching all the oils, flavors and aromas with hot water. What’s left, are spent coffee grounds only good for feeding your compost bin. Pre-ground coffee has a short life span, it’s exposed to oxygen and humidity more than whole beans. That’s why most experts will buy whole beans and grind them at home. Instant coffee is a recent invention developed in the early 20th century (compared to the six hundred years of coffee history). To make instant coffee, huge batches of coffee are brewed normally at a factory, and the spent ground coffee disposed of. Coffee is then freeze-dried (dehydrated at low temperatures), resulting in concentrated powder or crystals of good ol’ coffee. Hot water quickly dissolves instant coffee returning its liquid properties, and there you go. An instant cup of coffee indeed. Instant Coffee is comparable to your average brew in a few ways, yes, they are both real coffee. So, what’s the difference? Instant coffee is faster and easier to make. Just add and stir. Regular brewing methods can take more than a few minutes depending on your preferred coffee maker, it also takes some practice to get it au point. If you’re in a rush, you might be better off with a spoonful of instant coffee. Ground coffee is messier too. At the end of the day, you have to clean and maintain your coffee maker and dispose of the spent grains. With home-brewed coffee, you have more control. The grind size, roasting level, and brewing method completely changes the flavors of your brew. Instant coffee will always taste the same. Instant Coffee companies usually use Robusta beans instead of Arabica for its flavor intensity, higher caffeine levels, and lower price tag; and it does taste different. That’s why even an amateur will instantly recognise a mug of Nescafé against a drip over. You’re not fooling anyone. Price is also something to consider. 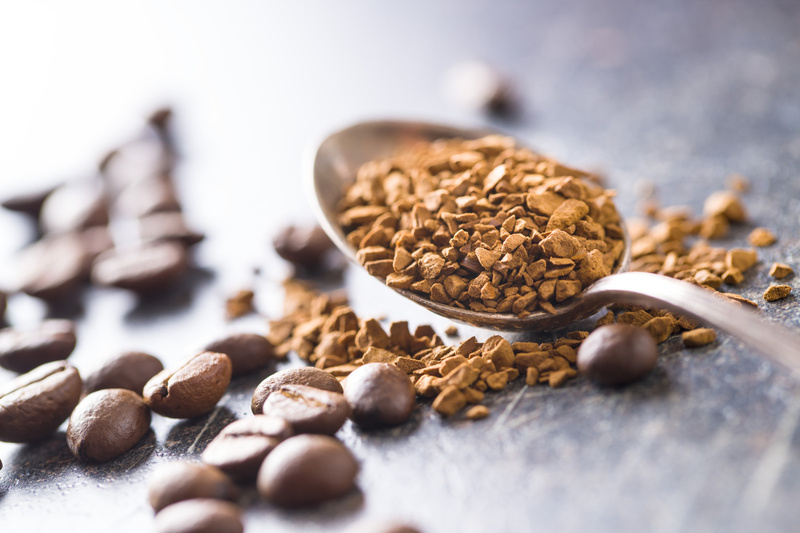 Instant coffee is often cheaper than ground coffee, although premium products do exist, instant coffee is a basic commodity while ground coffee sits on the leisure side. As you see, your preferences determine the coffee you buy, just remember that the experience will be completely different. For whatever reason, you might be inclined to one or another, and that’s OK.